In 2017, we experienced a love that will live forever when thousands journeyed to the cobbled streets of Montmartre, 1899. Some joined the bohemian revolution and celebrated with Toulouse over a glass of absinthe while others rehearsed backstage before auditioning for Harold Zidler in the quest for fame. 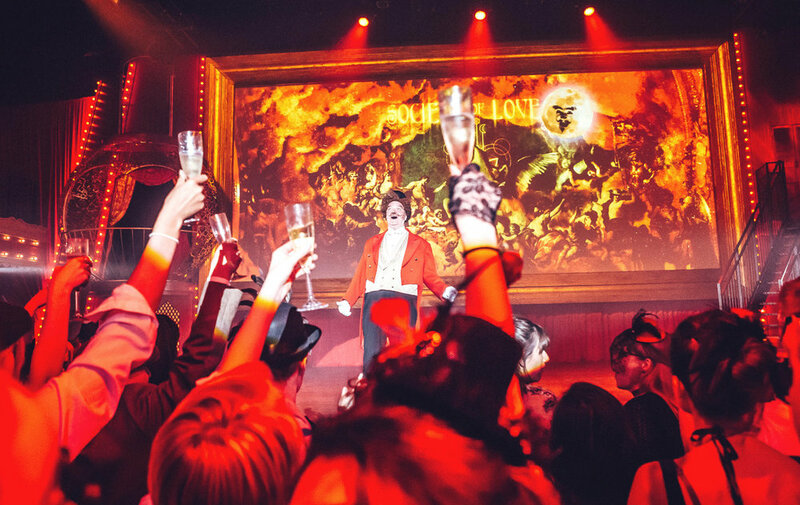 But in the end, one and all came together for an evening of pure sensory ravishment at the life-size recreation of the Moulin Rouge. We sang, we laughed, we danced as we fought for truth, beauty, freedom and above all else, love. In a time of contemporary troubles and need for love, we created the Society of Love to which all participants belong. Reflecting the vision that all are welcome, we worked with the charity Help Refugees raising over £20,000 and an impassioned Zidler spoke of welcoming refugees and inclusivity and tolerance in the Society. We chose to recreate Montmartre in an area in need of regeneration, engaging the community as part of their Secret Youth project via youth workshops, work experience and job opportunities. 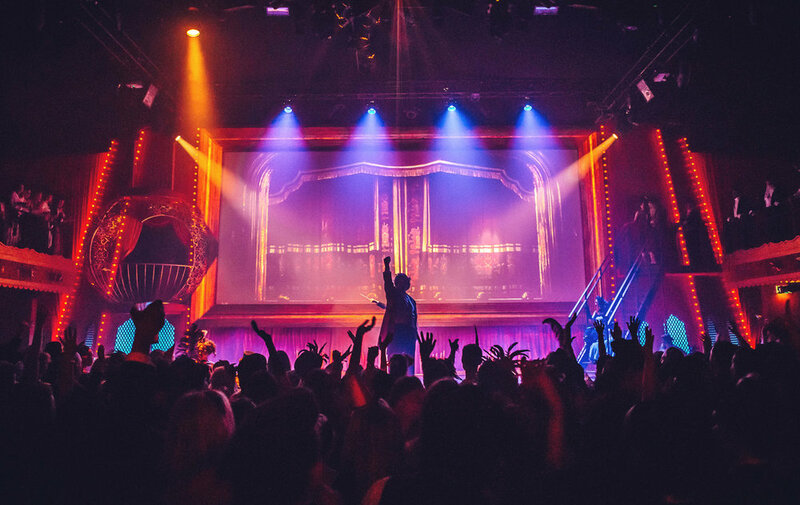 Secret Cinema presents Baz Luhrmann’s Moulin Rouge. © 2001 Twentieth Century Fox Film Corporation. All rights reserved.